A geotagged photo of a portion of Rehabilitation of Poblacion-San Isidro-Tacul FMR in Magsaysay town. The FMR now serves the farming community that produces Cardava banana, among other leading commodity. 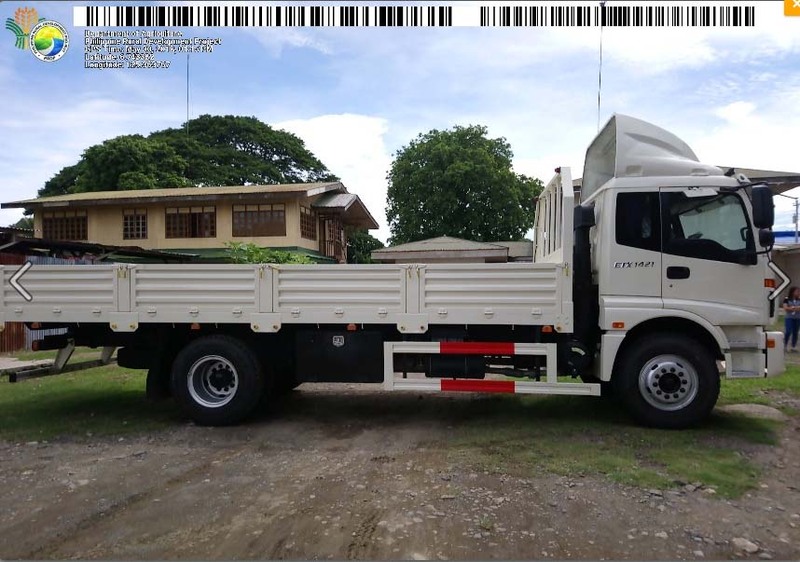 The Province of Davao del Sur is implementing a total of P890-million worth of projects for 6 infrastructure and another 6 agri-enterprise subprojects under the Department of Agriculture – Philippine Rural Development Project (DA-PRDP). Of the amount, P834 million is earmarked for infrastructure projects that aim to improve road networks linking production areas with markets to achieve efficient transportation of agri products. The subprojects under IBUILD (Intensified Building up of Infrastructure and Logistics for Development) component include four farm-to-market road with a combined length of 35.16 kilometers amounting to P539 million. These farm roads are being implemented in the towns of Hagonoy, Malalag, and Magsaysay which has two ongoing FMR constructions. The Rehabilitation of 14.29 km Waterfall-Osmena FMR with 122.5 liner meter PSCG Bridge in Sulop town allocated with P251 million is recently issued No Objection Letter and is now ready to bid. The package of postharvest facilities in Matanao town worth P43 million is still ongoing. These facilities consist 14 units warehouses with solar dryer aimed to increase the market value of banana by 100% per kilogram, rice by 40%, corn by 39%, and coconut by 64%. The existence of good drying infrastructure will also help reduce the postharvest losses. These six infrastructure projects will benefit 15,675 households. “We need to fast-track our implementation so that we can achieve our objectives to increase the income of our farmers and household beneficiaries in agri-fishery sector and to develop a more market-oriented and climate-resilient agriculture. We can only achieve this if we all work together,” said DA Davao Regional Director Ricardo M. Oñate, Jr., who is also the concurrent PRDP Mindanao Project Director. Meanwhile, enterprise projects under the Investments in Rural Enterprises and Agriculture and Fisheries Productivity includes two projects amounting to P19.54 million. The Cardava Banana Consolidation and Marketing Enterprise amounting P7,904,757.35 will be established in Magsaysay town; and the Organic Fairtrade Banana Chips Processing in Padada is alloted P11,637,215.64.